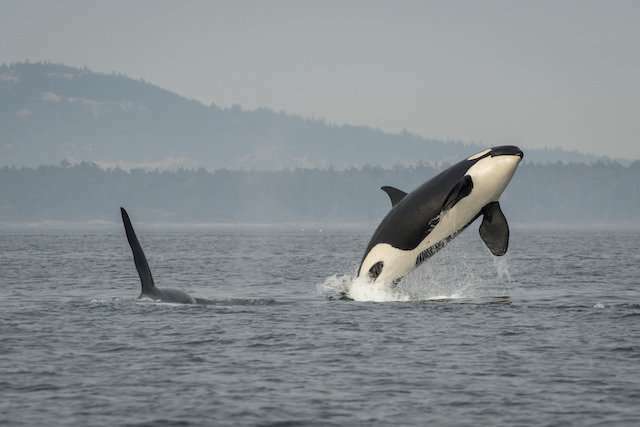 In 2018, the southern resident killer whale population in the Pacific Northwest's Salish Sea was at its lowest ever. The world watched in September as an orca named Scarlet, or J50, wasted away and died, leaving just 74 of her kind left. Some wondered if this was "What extinction looks like." Meanwhile, endangered mountain gorillas in Africa hit a milestone in the opposite direction. Their population climbed to more than 1,000—the highest in nearly a century. Building on work begun by primatologist Dian Fossey of Gorillas in the Mist fame, Gorilla Doctors, a program led by the University of California, Davis, has been providing personalized veterinary care to these animals in the wild since the late 2000s. The gorillas have their own long-term health records, and the international team of veterinarians that observe and treat them know each one as they would their own family members and friends—down to the individual. Wildlife veterinarians from UC Davis' SeaDoc Society and partnering organizations are just beginning to take that individualized-care approach with the ailing orcas. The pod of whales has not produced offspring in three years, and many of its female members are approaching the end of their reproductive years. "Mountain gorillas are the only great ape whose numbers in the wild are increasing," said Kirsten Gilardi, director of the Gorilla Doctors and founding director of the SeaDoc Society, which are both part of the Karen C. Drayer Wildlife Health Center at the UC Davis School of Veterinary Medicine. "Veterinary care is one key reason they have rebounded. It's not a huge leap to say that if we have the opportunity to care for killer whales that we can observe, a similar approach could contribute to that population's sustainability." Mountain gorillas and killer whales have more in common than one might think. They both carry individualized, identifying characteristics. For the mountain gorillas, it's a unique set of nose wrinkles. For the whales, no two have the same saddle patch, a white patch at the base of the dorsal fin. Both species are highly intelligent, and live in close-knit, socially complex family groups. Their species ranges cut across borders, so their conservation involves multiple nations. The gorillas live in the Virunga Conservation Range, which spans Rwanda, Uganda and the Democratic Republic of Congo, and in the Bwindi Impenetrable Forest in Uganda. The orcas are residents of the Salish Sea, which straddles the U.S./Canadian border and includes Puget Sound and the waters east of Vancouver Island. Both are charismatic animals beloved by the general public. In the Salish Sea, the orcas are literal residents of the area, and many people there view them as fellow neighbors. Coast Salish tribes and First Nations revere and maintain a strong ancestral connection with them. "If people didn't love these whales and know them as individuals, there would be no political backing for this work," said SeaDoc Science Director Joe Gaydos. In Africa, love for the gorillas extends to a strong ecotourism industry. 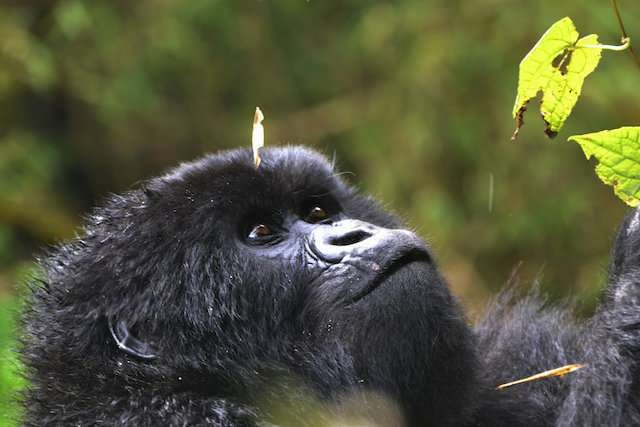 Gorilla tourism revenue helps the governments of Rwanda, Uganda and DR Congo protect the gorillas' critical habitat in the form of national parks. While personalized veterinary care is a key factor in their comeback, Gilardi said it is her strong opinion that "gorilla tourism revenue has absolutely saved them from extinction." But beyond the physical, there are big differences, too. For starters, they face different threats. For gorillas, it has been war, poaching, snares and habitat loss. For the whales, it's a lack of salmon, underwater noise from boats, toxins, disease and a changing, warming ocean that may exacerbate those problems. There are no quick, singular fixes. When Gaydos visited Rwanda last spring, he was struck by how advanced Gorilla Doctors is compared to where SeaDoc Society is in its care of southern resident killer whales. "They are decades of work ahead of us, with multiple veterinarians working in one region under one organization for many years," Gaydos said. "For those of us working to help the orcas, we're working from the edge of our desks because it's important, but nobody is really assigned to do this." Gorilla Doctors officially formed in 2009 when the nonprofit Mountain Gorilla Veterinary Project teamed up with UC Davis' Karen C. Drayer Wildlife Health Center. But the mountain gorillas have been receiving personalized veterinary care since 1986, after Fossey hired Jim Foster to become the first "Gorilla Doctor." 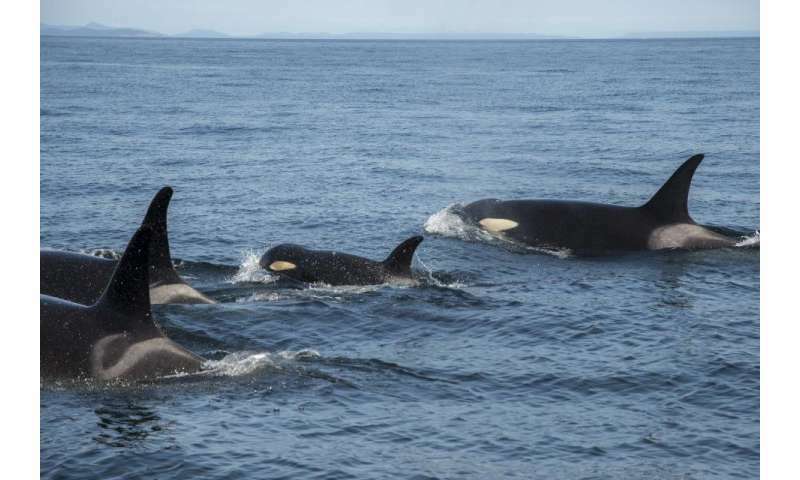 SeaDoc Society began designing a health-record database for southern resident killer whales in 2016, when there were 84 whales. A cloud-based system that allows them to easily share those records among other veterinarians and biologists is still under development. Since 2016, a group of whale experts has been discussing how to intervene for a sick or stranded southern resident killer whale should the need arise. This past summer, Scarlet became the first free-ranging whale to receive veterinary intervention in the form of antibiotics, tissue sampling and other efforts. Her struggle followed the also well-followed tragedy of J35, or Tahlequah, who carried her dead calf for 17 days. The cause of Scarlet's sickness was never identified. But she taught the team a lot about questions to consider and the diagnostic tools, equipment and coordination needed for future veterinary interventions, which are expected. "What J50 did was move us years ahead with what we've been talking about for two years," Gaydos said. "I totally believe we can help these whales. I think we don't know how much we can help until we start pushing the envelope."